School has started, Fall is in the air, and our favorite football teams are ready for the gridiron. But it is also getting pretty exciting here at LCC. After having three construction companies bid the architectural design for our new children’s wing, we have chosen one and hope to break ground in the next 90 days. All three were very competitive and the bids were extremely close, but we’ve chosen Landmark, the same company who built our existing facility. We have $1.4 million in cash, and the project including the renovation of our children’s wing is going to cost approximately $1.9 million. If God has blessed you, and you want to invest in reaching children in our area, this is an opportunity to give a one-time gift, or you can give weekly or monthly towards this worthy project. Our Sportsmen’s Wild Game Banquet will be held on September 11th, and we will have a patriotic theme this year. 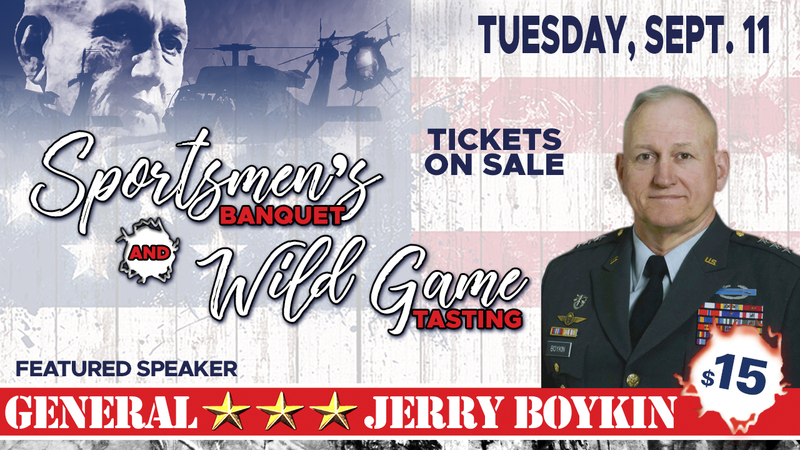 General Jerry Boykin, Commander of Delta Force and Green Berets, who has two purple hearts and a bronze star will be our keynote speaker. I’ve heard General Boykin on more than one occasion, and he has always encouraged and challenged me. Men, invite your friends, and join us as enjoy foods like alligator, elk, turkey, ostrich, bear, quail, Hungarian partridge and pork BBQ. It will be an evening that you will not soon forget. September 11th is not only the date for our Wild Game Dinner, but it’s the anniversary of the greatest tragedy that has ever occurred on American soil. In 2001, almost 3,000 Americans died in the World Trade Center in New York City. On that day, 19 men invaded our country in the name of their god and shook us to the core. In the name of their god 19 men brought their faith, their worldview, and their commitment from half way around the world to the most powerful country in the world and forever changed us. If 19 men, in the name of the wrong god, can come to America and bring us to our knees what do you think the Church, the people of God can do in the name of the True God, the Almighty King of Kings and Lord of Lords to bring this nation to its knees in reverence to the one true God! In a world that’s becoming more divided with each and every passing day, may we become more unified in our purpose, reaching a lost and hurting world with the glorious gospel of Jesus Christ! May we be authentic, genuine, followers of Christ growing in His grace and living for His glory! Each month, Pastor Jake writes an article for our newsletter, and we copy it here. Stay up to date with his thoughts and direction for LCC.